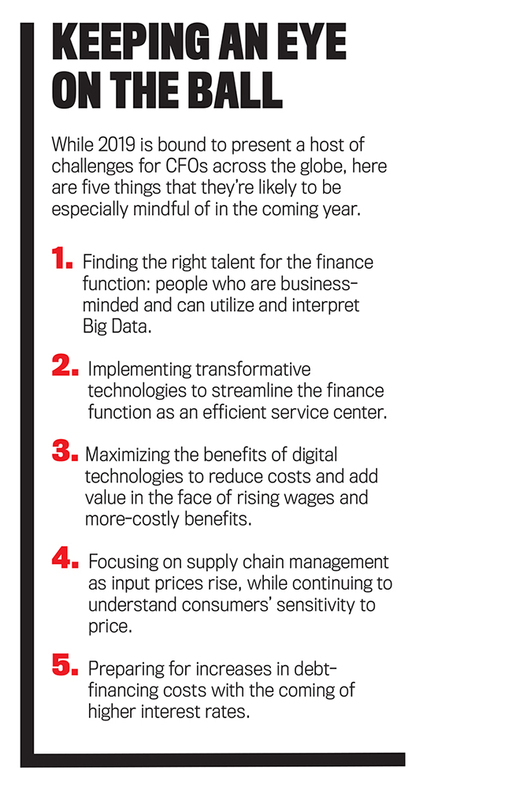 For CFOs, 2019 is likely to be full of mixed messages. 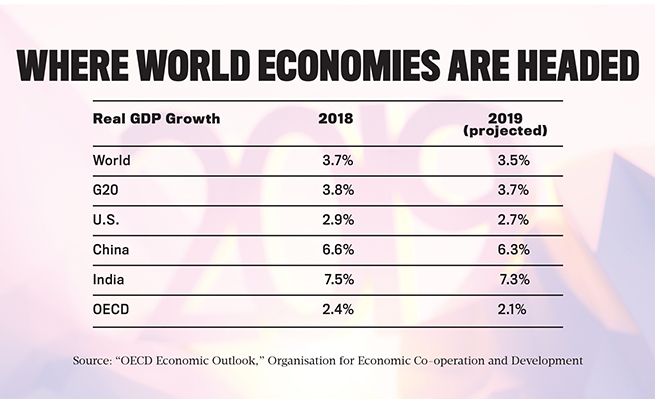 The economic outlook for the world’s major economies in 2019 is still mildly bullish, although the U.S. and Chinese economies will likely have some drag on global growth. The Organisation for Economic Co-operation and Development (OECD) expects world gross domestic product (GDP) to decline somewhat, from 3.7% in 2018 to 3.5% in 2019. Decreases in GDP are also anticipated for the G20 and the United States, from 3.8% to 3.7% and 2.9% to 2.7%, respectively. Economic confidence in the U.S. fell sharply in the fourth quarter of 2018, according to the GECS. As with global confidence, it, too, is at its lowest level since 2009. In the U.K., sentiments are similar, due mainly to Brexit concerns, which we’ll talk more about later. While most economists are bracing for slower growth in the U.S., CFOs are much more pessimistic. According to the Duke University/CFO Magazine Global Business Outlook for the fourth quarter of 2018, almost half (48.6%) of U.S. CFOs believe the country will be in recession by the end of this year, and 82% predict that a recession will begin before the end of 2020. 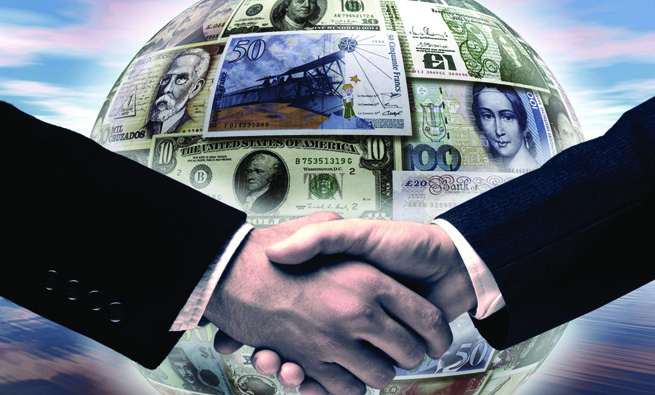 Uncertainty around how trade negotiations in North America will pan out and the outcome of the U.S./China tug-of-war has made companies nervous. The end of 2018 saw the impact of economic uncertainty on U.S. stocks. The VIX Index, which measures the stock market’s expected volatility over the next 30 days, swung wildly, and the Dow Jones Industrial Average fell to close down 5.6% in 2018, its worst year since the crash of 2008. Although the decline in the Chinese renminbi has offset some of the worries, the impact of U.S. trade policy on overall exports remains a concern. Duke University’s most recent CFO survey on the topic, which was released in the third quarter of 2018, shows that U.S. companies are split as to the effects of the trade wars and tariffs, with an equal number saying trade conditions will help vs. hurt them. (In a widely quoted statement, Ford CEO Jim Hackett anticipates that taxes on steel and aluminum will cost the automaker $1 billion in 2019.) Companies impacted by the trade wars and tariffs will compensate by pushing costs onto consumers wherever possible, and, as the Duke survey reports, these businesses will reduce their capital spending for the year by 6%. Against this backdrop, a tight labor market in the U.S., marked by low unemployment and rising wage costs, is expected to remain. Wells Fargo puts unemployment at 3.5% in the final quarter of 2019, a 49-year low. This compares with an unemployment rate of 1.6% for accountants and auditors in 2018. Therefore, it’s quite likely that attracting and retaining qualified employees will be keeping CFOs up at night in 2019 as it has in the past. 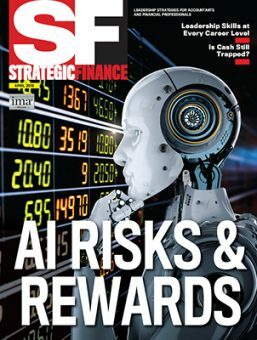 At the same time, CFOs will be looking to offset rising costs by further automating routine processes and investing in digital technologies that can give them greater insights into many aspects of their operations, such as managing supply chains, increasing the efficiency of working capital, and improving customer service, to name a few. Finding ways to thrive despite a very tight labor market may be the biggest challenge for companies as they head deeper into 2019. Elsewhere, CFOs’ hand-wringing involves the same key issue. As Declan Doyle, CFO at NOONAN, explains, “With the U.K. and Ireland reaching nearly full employment, companies are vying for skills by building brand awareness, and a big part of our strategy going forward is letting people know that we’re a great, innovative company to work for.” NOONAN, which is based in Ireland, has more than 15,000 employees who provide technical, security, cleaning, environmental, and ancillary services to a wide range of corporate clients. 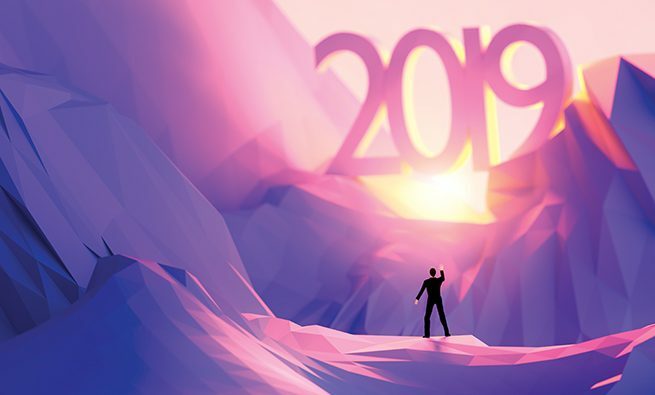 In 2019, some companies will continue down the path of transforming the finance function through automating routine processes, digitization, and implementing artificial intelligence technology as part of a longer-term strategy. For finance, it means eliminating data-entry errors, improving efficiencies in processing customer and supplier invoices, and further streamlining shared-service tasks. For audit, transformative processes can augment human review and enhance the control environment, reduce the compliance burden, improve the audit process by accelerating the collection and validation of information, and reduce time to close, among other benefits. For other companies that intend to remain competitive, new investments in technology are on the horizon to help defray rising input prices. 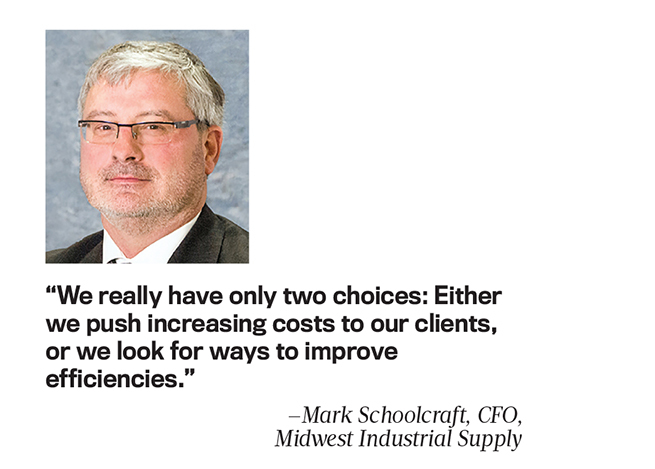 As Mark Schoolcraft, CFO of Midwest Industrial Supply, explains, inflationary pressures on input prices are driving several productivity initiatives in his company, a dust control and soil stabilization firm based in Canton, Ohio, serving heavy industry, quarry and mining, construction, and other infrastructure sectors across North America. 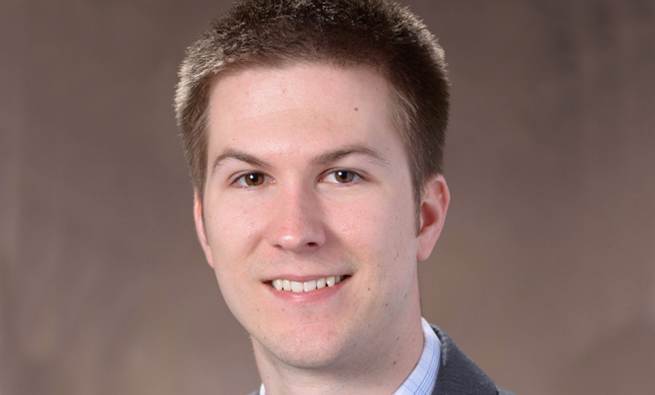 Midwest Industrial Supply, he explains, is very “data hungry” and will continue to invest in its IT infrastructure in 2019. To that end, the company is in the process of building its data analytics to help management make better decisions, and, because its workforce is dispersed all across North America, has initiated a project designed specifically to get better data from the field and to communicate with its employees more effectively. 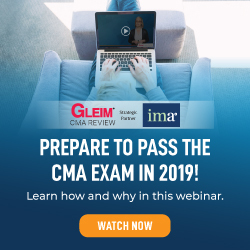 As to how this environment is impacting the role of the management accountant, and more specifically the CFO, it’s all about business acumen, understanding Big Data, and building the right teams. 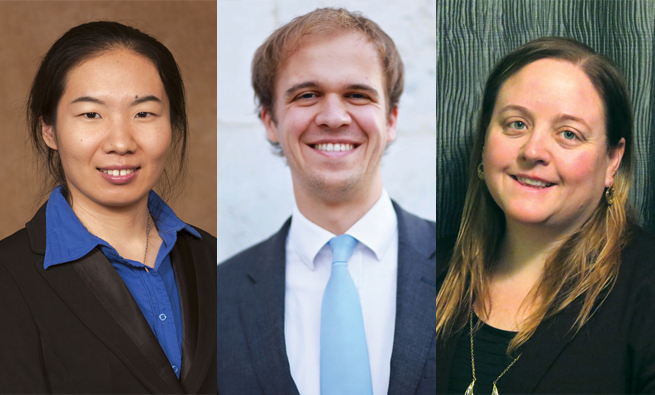 In addition to considering how improvements in data analytics can impact the finance function, Cuzick also works to keep in touch with the developments in Europe in the face of an unknown Brexit outcome. 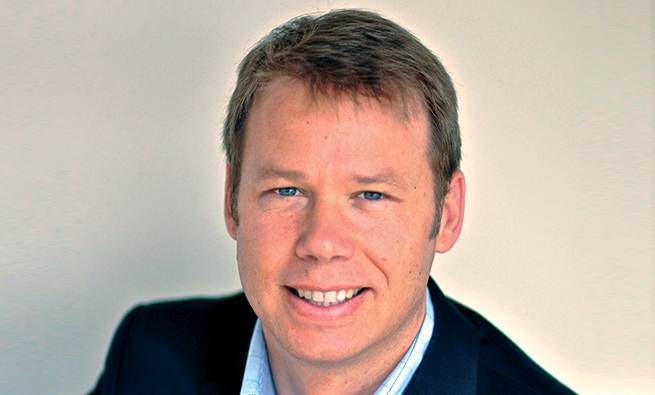 “For any multinational business, no matter how big or small, it’s a risk,” he explains. “So my big concern is making sure we are thinking about business continuity planning and looking at alternative options. The challenge has been that everything’s been sped up because it doesn’t look like they’ve been able to reach any agreement with the EU on the terms of the exit, which has left everyone very uncomfortable. “I think everyone’s planning for the worst and hoping for the best,” he adds. 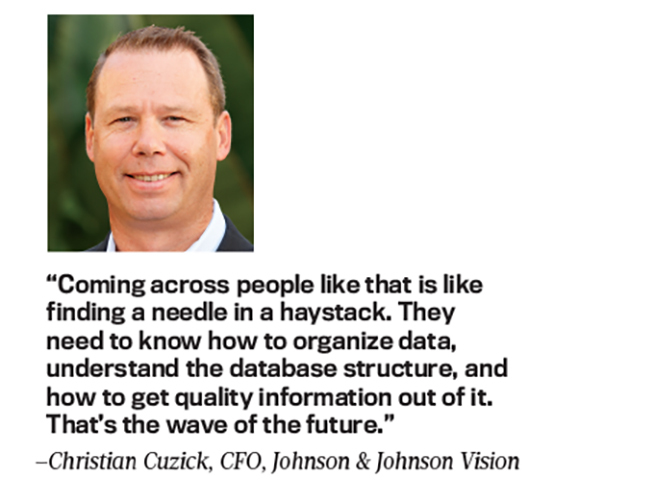 For Cuzick, the role of the CFO is a moving target going forward. Up until now, he says, the CFO had served as the “go-to” person when it came to finance and accounting. 48.6% of U.S. CFOs believe that the United States will be in recession by the end of 2019. 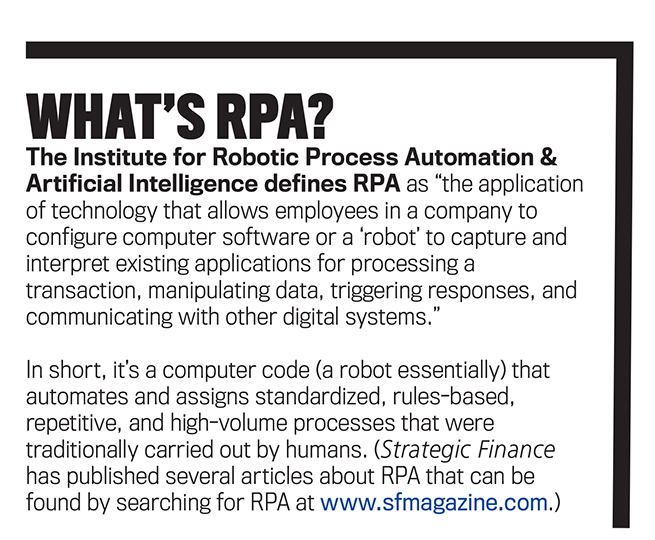 Source: Duke University/CFO Magazine Global Business Outlook, www.cfosurvey.org.